Item # 308819 Stash Points: 6,495 (?) This is the number of points you get in The Zumiez Stash for purchasing this item. Stash points are redeemable for exclusive rewards only available to Zumiez Stash members. To redeem your points check out the rewards catalog on thestash.zumiez.com. 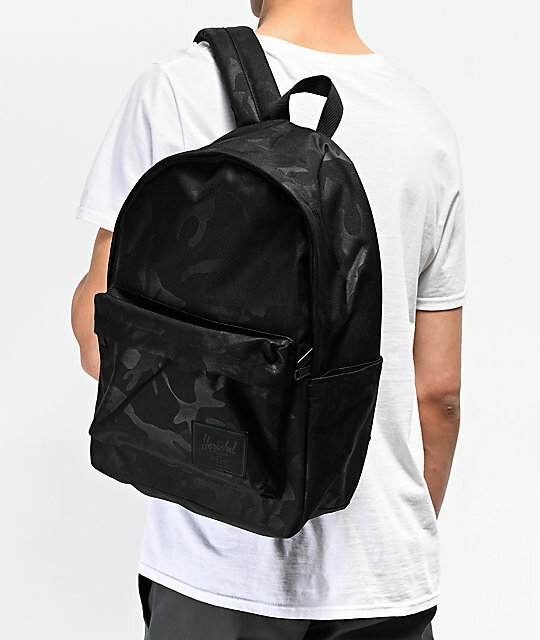 The Classic XL Delta Black Camo Backpack from Herschel Supply Co. is a sturdy and simple pack, perfect for all of your daily needs. With a black camo canvas exterior and a special black and white striped lining, this bag not only oozes style, but is ultra-functional. Featuring a 15 inch laptop sleeve in the main compartment, a smaller zip compartment on the front, and external water bottle sleeves, this pack is ready for anything, from school or work, to weekend trips. 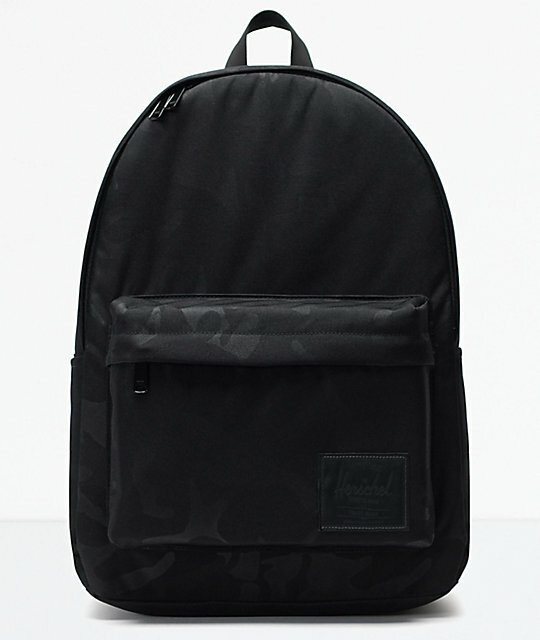 Classic XL Delta Black Camo Backpack from Herschel Supply Co.
Black and white striped liner.